I was off to a terrible start. I previously researched a shuttle bus from the Windhoek airport to town, and booked their service online for a bus that left 2 hrs after my flight landed. It was a bargain for 100 NAD, given that there are no other means of transport into town. Except, they never showed up. So, after two hours of sitting in the airport like a fool, I sucked it up, went to the taxi counter, and shelled out 300 NAD. Weekends in Namibia are brutal – everything is closed. I rolled into a dead Windhoek downtown, after my airport snafu. At least some food places were open. 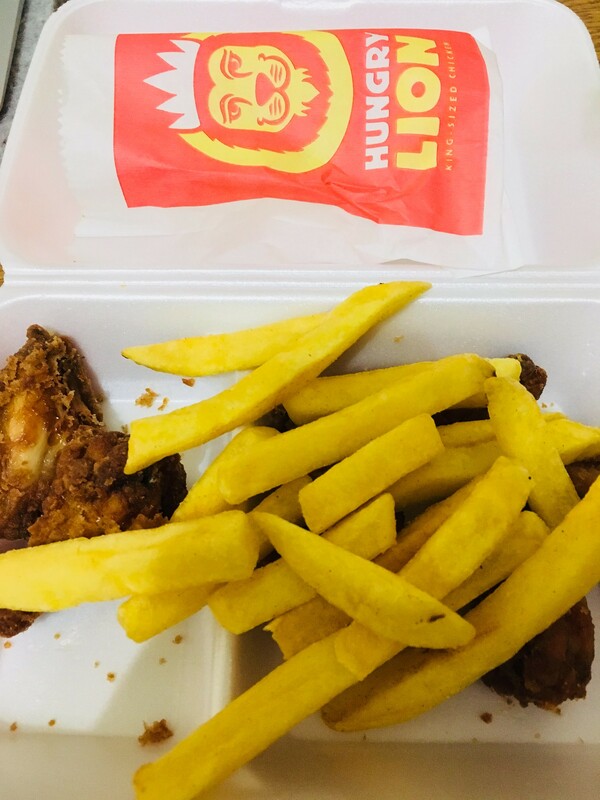 I got some fried chicken from a local chain called Hungry Lion, and in preparation for my bus ride to Walvis Bay, I also bought some water, given that the groceries were closed as well. Cost me a total of 50 NAD.